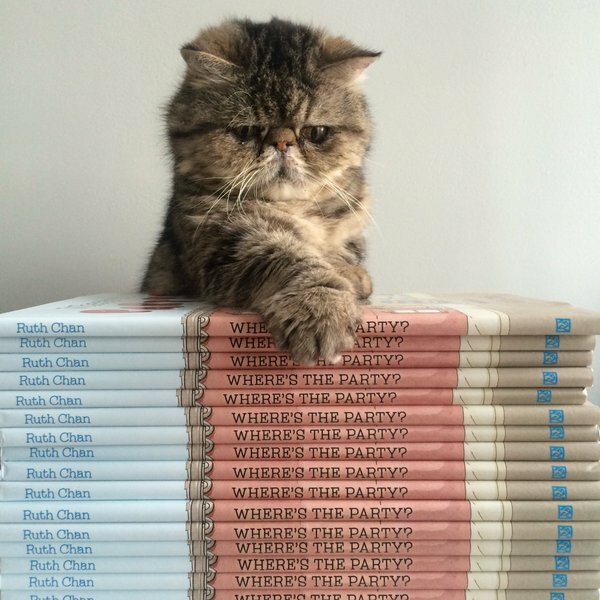 Happy EARLY Book Birthday to Ruth Chan&#39;s Where&#39;s the Party? Happy EARLY Book Birthday to Ruth Chan's Where's the Party? Happy early book birthday to you! 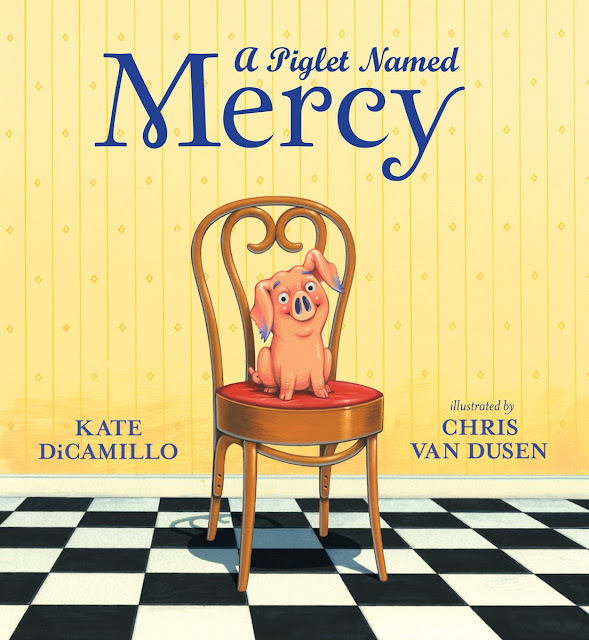 Happy early book birthday to you! 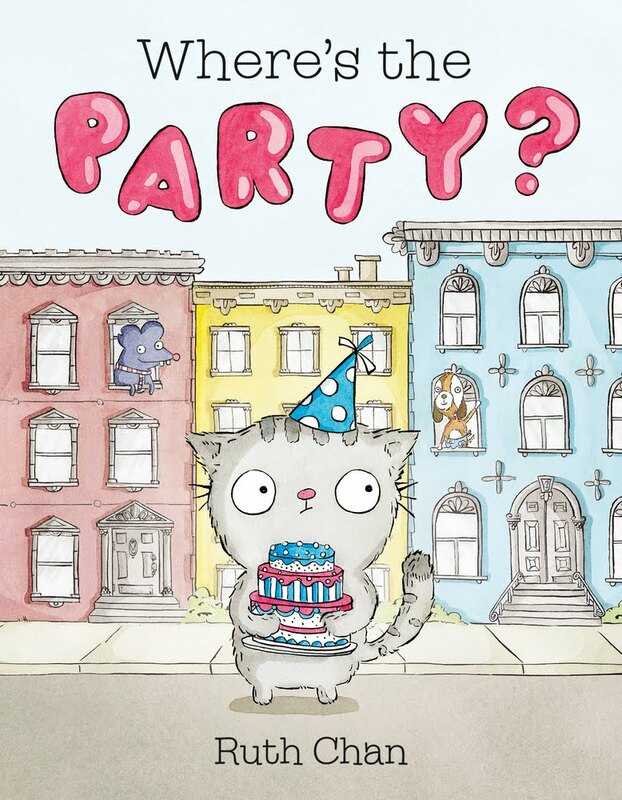 Happy early book birthday, dear Georgie and Ruth! Happy early book birthday to you! I hope you're going to celebrate every day between now and April 5 with catnip, cupcakes, and naps. Thank you for taking over my blog for the day! Your guest posts made me smile and grin from ear to ear. Happy reading, writing, illustrating, and napping! 1. 1 to 3 cakes (at least). Because "a party without a cake is just a meeting", according to Julia Child, and although Georgie is not sure what a meeting is, he knows it is not as fun as a party. Georgie also loves the surprise that comes from slicing a cake and seeing what flavor it is, especially since every flavor is his favorite flavor. 2. Lots of sounds. He loves the hum of kazoo songs, the squeaky sound that balloon animals make, and the crunch-crunch of good food being eaten. He also loves the sound of all his friends having a good times— laughing, hooting and hollering, singing— and even the quiet when everyone is pooped from partying so much. 3. 1 to Infinity of his friends! Georgie can (and will) have a party with anyone and everyone. His favorite thing to do at these parties is to make sure everyone is having a great time, and he's really good at it, too. 1. 1 to 3 cakes! I’m a lot like Georgie in that way. I do, however, know what meetings are, and know that things definitely improve when cake is involved. Even though my favorite kind of cake is ice cream cake, I also love frosting. A lot. 2. Karaoke. There is a contingent of NYC-based Kidlit folk who go out to Karaoke on the regular. What better way is there to express creativity, collaborate with others, and forget about deadlines? 3. Authenticity. What I mean is that people aren’t afraid to be who they are— whether that’s goofy, or quiet, or just constantly grazing by the snack table. To me, parties aren't just about having a great time, they're also about getting to know people, and some of the best moments happen when different types of people get together. Much like Georgie and his friends-- they are all so different, but also very unapologetically themselves, however awkward and silly that might be. 4. Unlike Georgie, the perfect party for me ends at 10:00pm, because I like to be in bed by 10:30 pm. Which also means the perfect party starts at noon! Look for Where the Party? on April 5, 2016.